It’s only natural to want your family to be active and healthy, that’s why David Lloyd Aravaca offer a huge range of activities that you can all enjoy both individually and together as a family. Spend a family day in your local club and have plenty of choice – go swimming, play tennis or eat in our DLicious cafebar. While the children enjoy our Kids Club you can take some time to relax in the spa or join a group class. We offer a huge range of activities here at Aravaca and our club is the perfect place for you and your family to spend time. It’s like nowhere else in Madrid and really does something for every family. Besides our crèche, we run fantastic DL Kids and Holiday Active programmes – they’re specially timed to match up with adult classes, so you can all enjoy the time you spend here. If your children love being active and trying out new sports, they’ll love David Llody Aravaca. We have of activities, and the freedom for them to enjoy themselves! Being members here with your family is great fun, as there’s just so much to choose from – swimming, tennis, or padel lessons, DL Kids sessions, a playframe for them to play on, and more. If you’d like to see what’s on offer, just enquire today and we’ll be happy to book you in for a tour! We welcome the families of Aravaca and the surrounding areas to the David Lloyd Aravaca club. 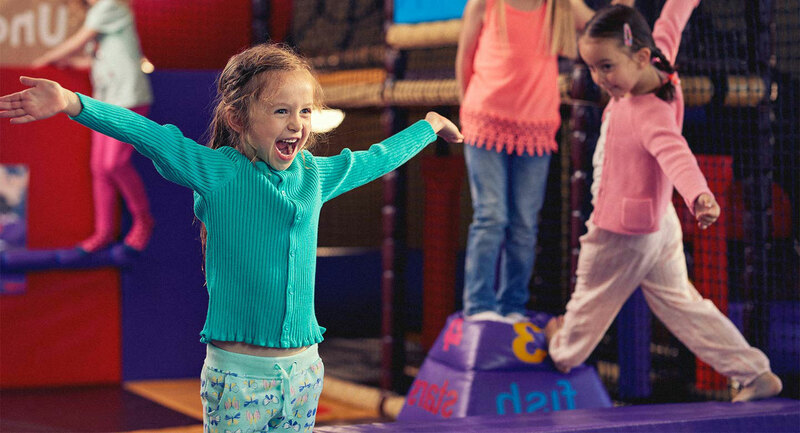 Our DL Kids offering is perfect for 3-11 year olds – whether that’s booking in for your little one’s birthday party, or the great DL Kids classes in the separate DL Kids area. Plus, our cafebar has a great soft play frame and a dedicated kids area with lots of seating so you can make sure they’re safe and having fun.